We’ve all had friendships that have gone bad. Whether it takes the form of a simple yet inexplicable estrangement or a devastating betrayal, a failed friendship can make your life miserable, threaten your success at work or school, and even undermine your romantic relationships. The first highly prescriptive book to focus on the complexities of friendship, When Friendship Hurts demonstrates how, why, and when to let go of bad friends and how to develop the positive friendships that enrich our lives on every level. 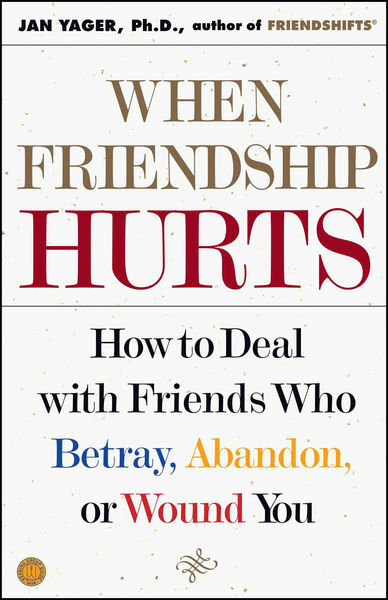 For everyone who has ever wondered about friends who betray, hurt, or reject them, this authoritative book provides invaluable insights and advice to resolve the problem once and for all.